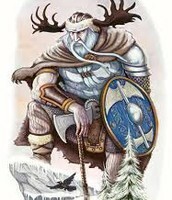 Thor is the god of thunder based on Nose mythology. 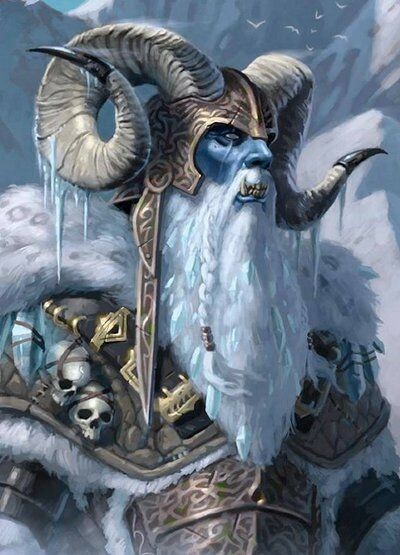 He is the son of Odin and Jord, the earth goddess. 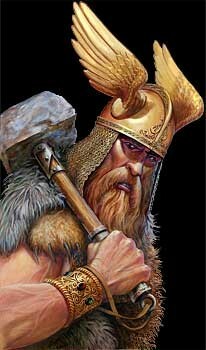 Thor is such a popular norse myth because he was the strongest of all Aesir, who were the principle race of the Norse gods. When most people thing of Thor, the first thing that comes to mind is his mighty hammer. His hammer is named Mjollnir, which means "that smashes". 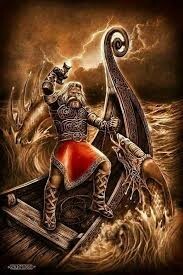 Mjollnir was made for Thor by the dwarves Brok and Eitri Who made magical weapons for all the gods. 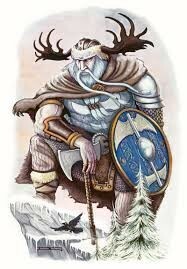 Thor also wore a belt named Megingjard that provided him with immense strength and power. Along with Megingjard he need his iron gloves in order to wield this heavy hammer. 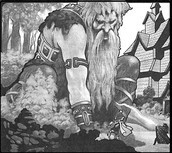 Often, since Thor had such a short temper, he would use this hammer on the common enemy of the gods, the giants. 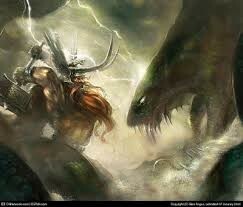 Thor's greatest enemy was Jormungand, which was a Midgard serpent. 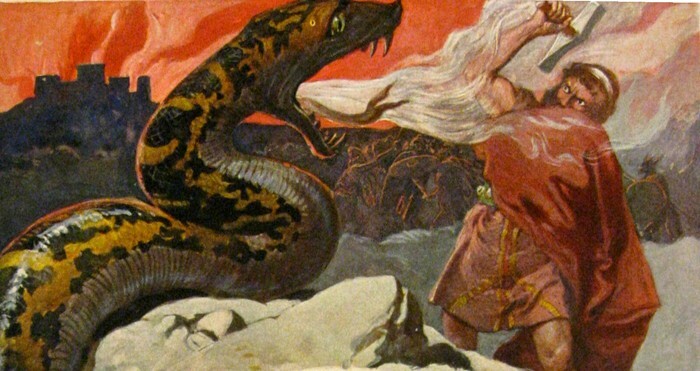 On the day of Ragnarok, which is the end of the cosmos in Norse mythology, Thor is supposed to kill this serpent but, he will die from the poison. 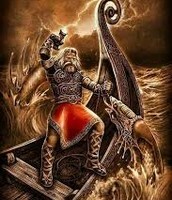 Once Thor is gone he will then pass on his weapons, including his hammer to his sons. 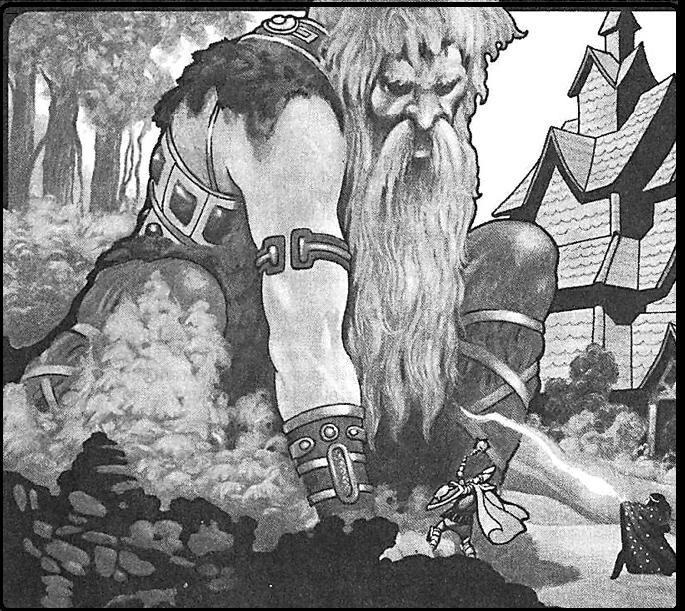 One myth surrounding the legend of Thor, is when he lost his hammer to a giant named Thrym, or king of the giants. The only way Thrym would return Mjollnir was if Thor's beautiful mistress, Freyja, would marry become his bride. 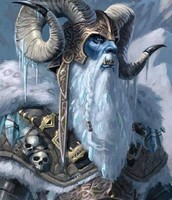 Thor and his brother, Loki devised a plan to dress Thor as the bride and escorted him to the giants. 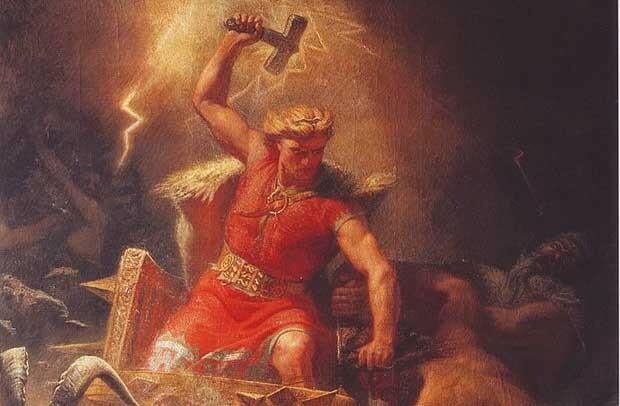 Once in possession of his hammer, Thor then killed Thrym and destroyed the dining hall.